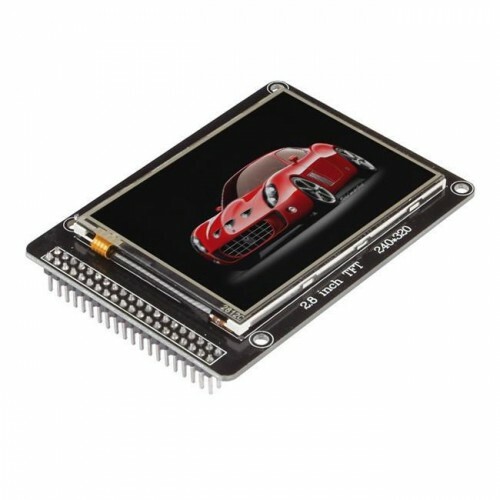 Purchase online ILI9341 2.8" TFT LCD Touch Display in India at low cost from DNA Technology. 2.8" TFT LCD Display is a LCD touch screen module. It has 40 pins interface and SD card and Flash reader design. It is a powerful and mutilfunctional module for your project. The Screen include a controller ILI9341, it's a support 8/16 bit data interface , easy to drive by many MCU like arduino families? STM32, AVR and 8051. It is designed with a touch controller in it . The touch IC is XPT2046 , and touch interface is included in the 40 pins breakout. It is the version of product only with touch screen and touch controller. Voltage type: 5v or 3v voltage input voltage?input is selectable. Because TFT can only work under 3.3 V voltage, so when the input voltage VIN is 5V, need through the 3.3 V voltage regulator IC step down to 3.3V , when the input voltage of 3.3 V, you need to use the zero resistance make J2 short , is equivalent to not through the voltage regulator IC for module and power supply directly. 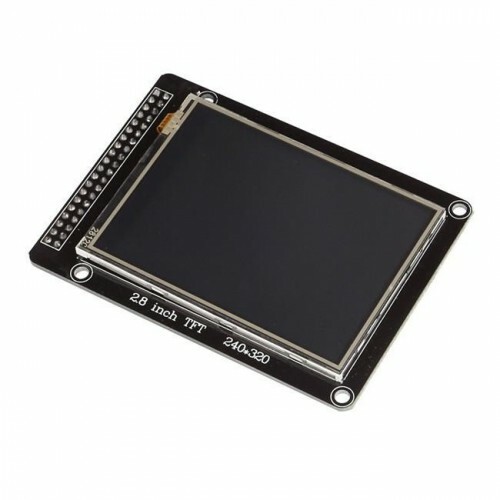 Note: the factory TFT module, are the 5 v power supply. By default. Carrying on board SD holder, its work to SPI mode. 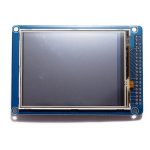 2.4" TFT LCD Touch ShieldArduino 2.4" TFT LCD Touch shield is an Arduino UNO/ Mega compatible multic..
ILI9341 3.2" TFT LCD Touch Screen Module Display3.2" TFT LCD Display is a LCD touch screen modu..